Many clients get confused about Digital Printing versus Offset Printing and which one is most appropriate for their printing project. Here is a comprehensive definition of both and what goes into the decision process on what is best for each individual print project. Offset or “traditional” printing involves a mechanical process of applying layers of ink to paper with a series of rollers. Each roller applies a specified ink – Cyan, Magenta, Yellow and Black (or CMYK) to the paper. As each of these rollers pass over the paper, they transfer layers of ink and complete the image on the paper. Most offset presses require a significant amount of “make ready” time to prepare the press before printing actually begins. There is a fair amount of paper waste as the press begins to run in order to get the press “up to color”. Proofing on an offset press can be more challenging than digital printing since it’s not economical to ready an offset press for just one printed proof. Instead other, more economical devices are used to simulate what the final product will look like. Offset printing has a front-end loaded cost structure (plates, make ready, paper waste.) which means short runs (low quantities) may have a high per-unit cost. But as quantities increase, the unit cost goes down with offset printing. Very short runs can be more cost effective with digital printing; while larger quantities are likely to have a lower unit cost with offset printing. More economical on larger runs Larger Formats available (typical sheet size is 40”) Wider range of paper stocks available More durable, less prone to scratching or scoffing. In contrast, digital presses use a laser to “write” a latent static charge on a rotating drum which then attracts the toner to the drum, applying a digital print in different color ink with each rotation. Digital presses don’t require the “make ready” that offset presses do and usually the first print out of a digital press is of high quality and therefore have little/no paper waste. Digital printing eliminates the numerous and time consuming steps involved in the offset printing process. Proofing on a digital press is typically more accurate since the proof is printed using the exact process as will be used on the final press run. If you need it fast, digital usually offers a much faster turnaround. Many different considerations will determine which method of printing is best for your particular project, such as quantity, timing, and the physical size of the printed piece. Offset printing is commonly used for higher quantity, larger format jobs while digital printing is best applied to smaller format, lesser quantity print runs. While one printing method might give you a slightly different “look” than the other, both printing methods can give you excellent results. 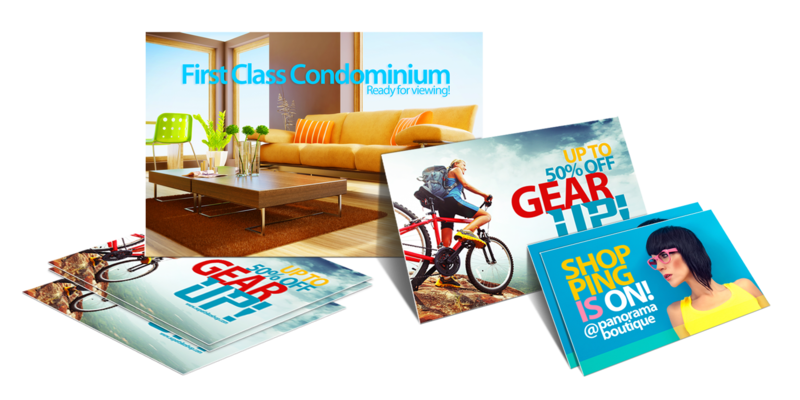 Digital printing is the perfect technology when you need rush printing. Because digital printing presses don’t require time consuming plates to be made your file can be sent directly to the press and printed in minutes or hours instead of days or weeks with traditional offset printing presses. Our digital printing services are also the ideal technology for print jobs that only require a small number of printed copies. Why print 10,000 copies of your document when you really only need 500? With digital printing you can request whatever quantity you need for your immediate use and order additional copies when and if you need more. That makes digital printing a green technology as well since there is no waste. Stop discarding outdated printed materials by printing only the volume that you anticipate using.